(APN) ATLANTA — A second candidate, Park Cannon, a political newcomer, has entered the House District 58 race, less than 24 hours since State Rep. Simone Bell (D-Atlanta) announced she would be leaving the House. As APN reported on yesterday, Thursday, October 29, 2015, Rep. Bell will resign from the House of Representatives, effective November 13, 2015, to take on a management role with Lambda Legal. Former State Rep. Ralph Long (D-Atlanta) also announced his intent to run for the seat, as APN first reported. Cannon announced today that she will be running, with a soft launch party happening next Thursday night and a Facebook announcement today. She expects to fully launch her campaign next week. 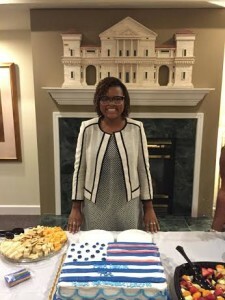 “District 58 is incredible in it’s diversity, so I am very excited to represent it,” Cannon said in an interview with Atlanta Progressive News. “My working experience has been incredibly varied, but has focused on the lives of people of color and people who need direct services,” Cannon said. Cannon comes with a strong community organizing background, having worked on issues like Medicaid expansion, voter engagement issues, as well as working with education and political engagement programs for non-English speakers. “I know that I will provide a voice for people who are not comfortable at the Capitol. I am ready to move into a seat and listen to everyone that wants to speak with me,” Cannon said, highlighting a history of working with marginalized communities. She currently serves on the board of SisterSong, a reproductive justice organization focused on indigenous women and women of color; and as a CoreAlign Generative Fellow – a program that engages in leadership development and strategy work around reproductive health and rights. 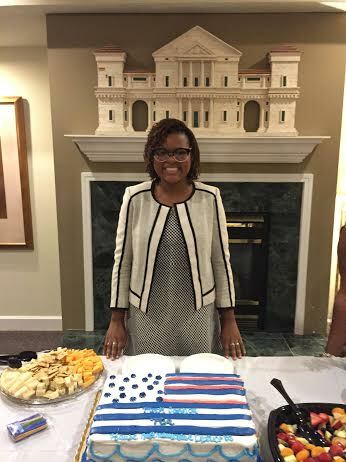 “My idea of success is for me to learn more about my community members, my district, and my state,” Cannon said. The District 58 seat includes parts of Midtown and South Atlanta. Former Rep. Long lost the seat to Rep. Simone Bell after redistricting by the Legislature in 2010 put Bell and Long in the same district in 2012.